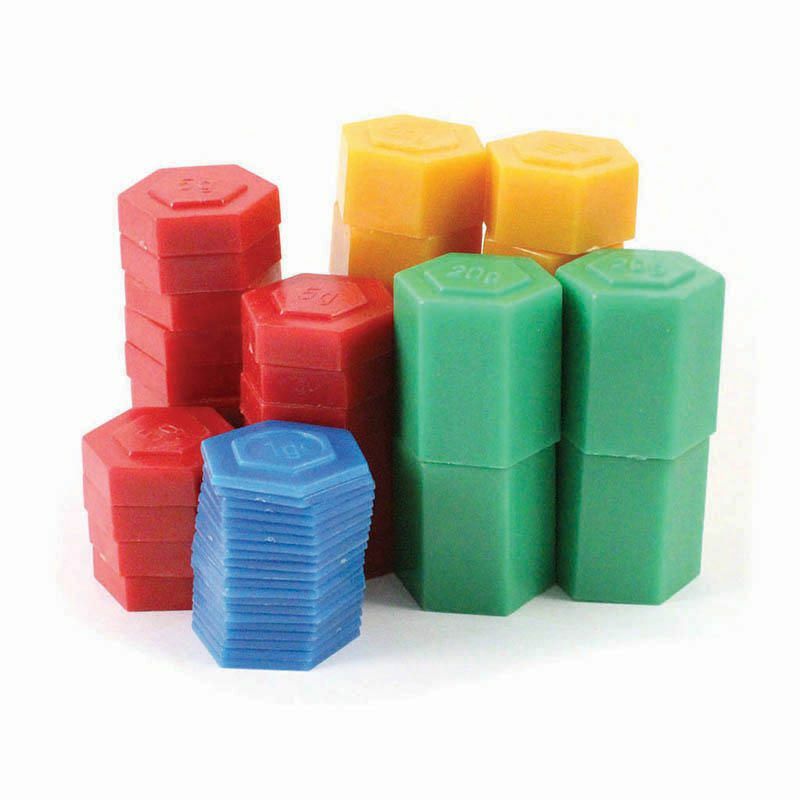 Set of 54 Includes twenty 1 g (blue), twenty 5 g (red), ten 10 g (yellow), and four 20 g (green) weights. These colored and coded stacking masses help children see mass relationships at a glance. Each color represents a different thickness and mass. Includes plastic storage box.